If you’re looking for something fun to do this weekend, I’m co-chairing the 6th annual Wine & Swine event this Friday, July 18th from 7:30 to 11:00 at The Bridge Building downtown. If you’ve never been, it’s a tasting with food, wine, beer and various liquors. 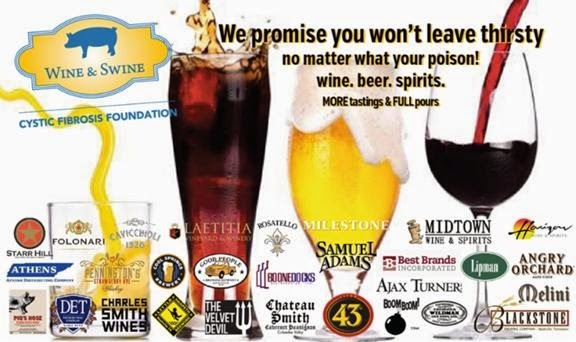 This year, we have 17 food vendors and a great selection of wines and craft beers and spirits. There’s also a band, a silent auction and a VIP hour before for a small premium. All the proceeds go to benefit The Cystic Fibrosis Foundation and research to support a cure for CF. You can purchase tickets at the link below.